We might have mentioned it a few times in the past but Nashville has a booming food scene that shows no sign of slowing down (no complaints here). New spots keep popping up faster than on a teenager's face, and all of them owe a debt to the game-changers that came before them. The places on this list aren't the oldest, or the biggest, or even the best restaurants in town, but they are the most important. This is about the restaurants that have had the greatest impact on the city and the wonderful food scene that we know and love. These are the restaurants that make Nashville, Nashville. Jack’s Bar-B-Que is one of the destination spots on Lower Broadway for tourists and locals alike. The founder of this joint has been an influential mover in the Nashville food scene since the ‘70s, and has undoubtedly helped put Nashville on the national BBQ map. When the first Jack’s was opened on Lower Broadway, it was at a time when that area of town was not what it is today. Many people attribute the revitalization of Lower Broadway to restaurants and bars like Jack’s opening up in the area. Oh, and the ribs are pretty delicious, too. 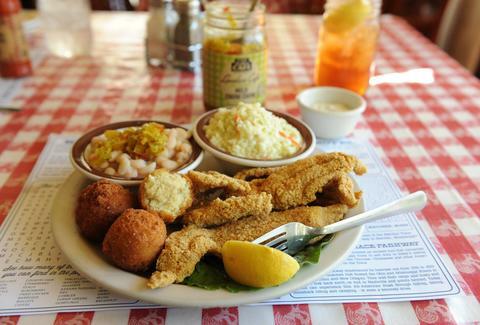 Yes, it’s true: Loveless Cafe makes it onto pretty much every single “must try” Nashville list, but it’s for very good reason. This down-home country restaurant has seen several different owners since it first opened in the 1950s, however, the top-secret biscuit recipe has stayed the same. 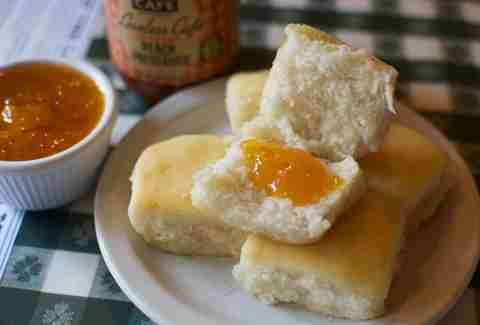 Which, if we’re honest, is the reason that most people go to Loveless Cafe in the first place: for the biscuits and jam. This place does country cookin’ justice with its buttery biscuits, fried chicken, homemade peach preserves, and Southern-fried catfish. Just as the name implies, Puckett’s started out in the 1950s as a small grocery store, a gas station, AND a place to grab a good Southern-cooked meal. In 2002, however, the owners did away with the grocery and gas aspect of the store and focused on making Puckett’s a place where locals could enjoy great food while listening to some good live music (just how things were meant to be in Nashville). And, this is precisely what Puckett’s is today. It now has four different locations in and around the city (with a new location that opened in Chattanooga just last year). Every night of the week there is a different local artist or band playing and there’s always lots of fried chicken and BBQ to go around. This one is kind of a no-brainer. 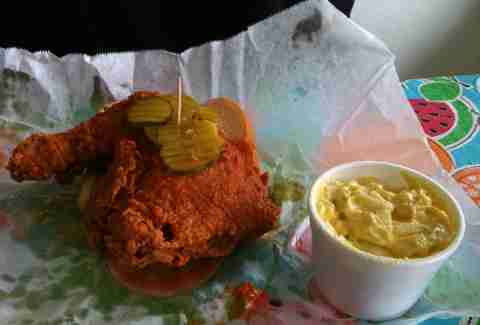 Nashville is THE city for hot chicken and Prince’s is praised as the original hot chicken joint. Rumor has it that hot chicken came about accidentally when Thornton Prince’s angry girlfriend put extra pepper and spice on his chicken as punishment for cheating on her. It kinda backfired. In fact, he based an entire business around it, and opened Prince’s in the 1930s. And despite the fact that many hot chicken joints have opened in the area over the years, Prince’s has remained essentially unaltered from its original form as a simple cafe to grab some great hot chicken. 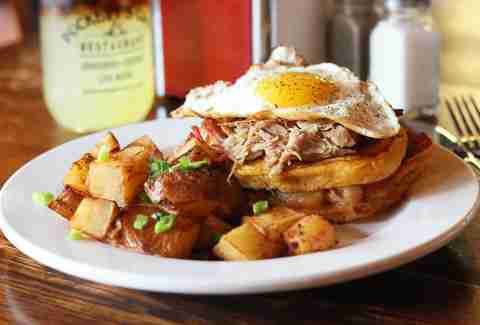 Over the years, Germantown Cafe has become a staple of not only Germantown but of Nashville as a whole. Located close to Downtown, it’s the perfect spot for dinner before any event Downtown as well as a nice spot if you don’t want to actually fight the traffic Downtown. What draws many people to this particular cafe, besides its truly wonderful and classic cuisine, is the nice view of the Nashville skyline that can be seen from the restaurant. 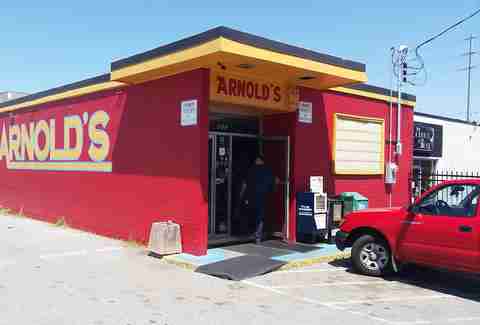 There are quite a few great meat & threes in the Nashville area but Arnold’s is one of the originals and (arguably) one of the absolute best. It's been open for over 30 years now and very little has changed since it first swung its doors. It's still in a modest building with nothing too fancy about the interior. And it's still serving the same ole wonderfully prepared Southern food that it's become famous for. While the line can get long and sometimes even stretch out the door, it moves quickly and is absolutely worth the wait. Margot set its roots in East Nashville well before East Nashville was one of the "coolest neighborhoods in America." 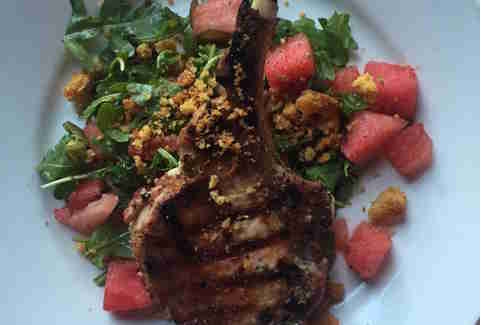 Located in an old gas station from the ‘30s, the menu changes daily, and is based on rustic French and Italian cuisine. This cafe is unique in that it encompasses a very laid-back and comfortable setting while simultaneously having lots of unique features, such as an outdoor dining area surrounded by a flower garden. Not only does it fit into the East Nashville vibe, it helped create it. A large part of what makes this restaurant so unique, and ALL of its food so damn delicious, is that it’s a true example of farm to table. The restaurant, attached to the Hermitage Hotel, owns a 250-acre cattle farm where it sources its own beef (and provides some to other local restaurants). It also has an additional farm and garden, known as Double H Farms, where much of its other produce is sourced. 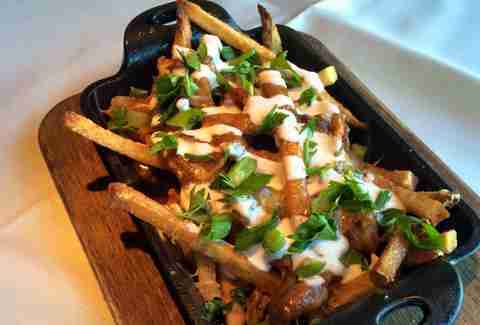 Needless to say, all of the food that you'll get at the Capitol Grille will be very fresh and creatively presented. Merchants Restaurant is another prime example of a classic eatery being opened in a unique and historic Nashville site. The three-story building that houses Merchants was originally a hardware store on one level, a pharmacy on another, and a wholesale drugstore on the top level that once sold products such as “blood-medicine” (seriously). For quite some time, the building was also home to a hotel which housed guests such as Patsy Cline and Dolly Parton. Many features of the old hotel can still be seen in the restaurant as it stands today. 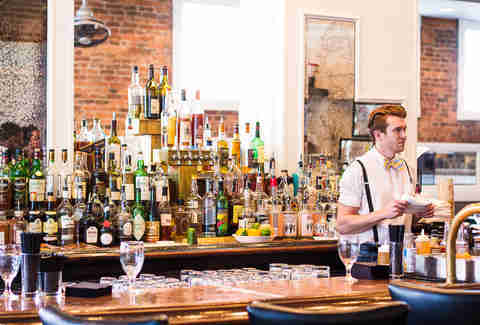 Merchants' cuisine is also indicative of classic Southern fare; downstairs it serves a set menu that includes duck-fat tater tots and a delicious burger, while the upstairs is more formal with three-course dinner options. One of the most unique dining experiences in all of Nashville, the Catbird Seat is relatively new to the city. Reservations are rather difficult to get, seeing as there are only ~20 seats in the whole place. It’s "tasting menu only," and the resto charges a set per-person price which includes 12-14 mini courses that are chosen and prepared in front of you by the chef. You might need to save up for a while, but trust us when we say it’s worth every penny. 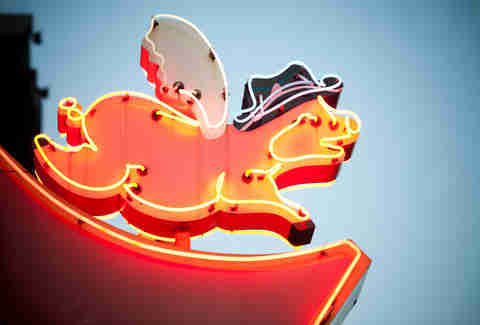 Like many restaurants in Nashville, the Tin Angel puts a classic Southern twist on its unique American cuisine and has been a staple on West End for over 20 years. 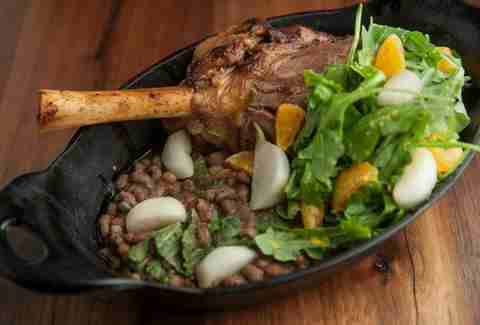 The Tin Angel set the scene for a classic menu that changes seasonally so as to serve dishes that are as fresh as possible. The atmosphere is formal while still being distinctly laid-back and fun. 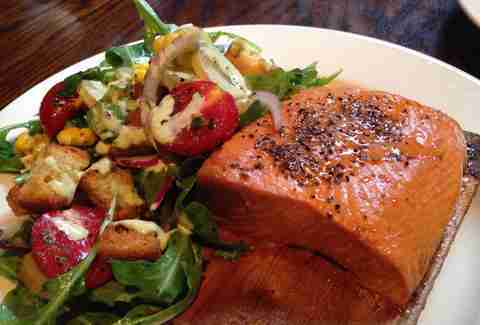 Like any good restaurant located in the South, the staff at the Tin Angel are very friendly and make the dining experience all the more enjoyable. 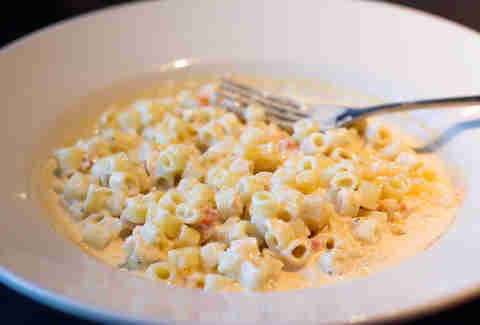 Midtown Cafe, a fine-dining staple in Nashville, has been around for nearly 30 years and is most popular for its lobster mac n’ cheese (seriously, it’s fantastic). The valet parking alone isn’t that big of a deal, but the fact that the place offers a free shuttle to customers is pretty great. The shuttle will pick you up at your hotel if desired, or you can leave your car at the restaurant and take the shuttle to a show Downtown after dinner. It’s Southern hospitality taken to a new level. 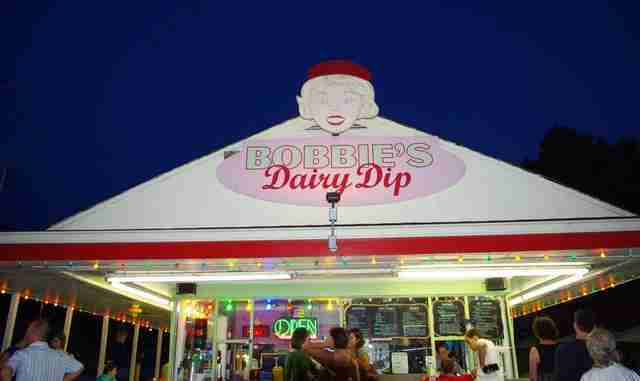 Long before there was the Pharmacy or Burger Up, Bobbie’s Dairy Dip was serving phenomenal burgers in a fun and relaxing setting. This down-to-earth burger & ice cream joint has been around for quite some time, and although it's expanded its menu and seating availability over the years, it's still serving the same burgers as when it started out. It might not be the hippest burger parlor in town, but it’s one of the classics that others built on, and for that reason it deserves a spot on the list.